Tomo Virk (1960) is a professor of Comparative Literature and Literary Theory at the Department of Comparative Literature and Literary Theory at the University of Ljubljana’s Faculty of Arts. In the past, he has been the vice-dean of the faculty; at present, he is the head of the Comparative Literature department. 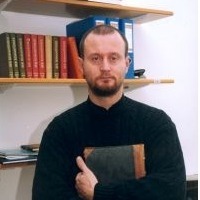 His interests and publications encompass the methodologies of literary science, postmodernism, magic realism, theory of the novel, literary hermeneutics, world literature, and contemporary Slovenian literature. He has produced thirteen books, among them, Duhovna zgodovina in literarna veda (“Geistesgeschichte” and Literary Criticism, 1989), Bela dama v labirintu (White Lady in the Labyrinth, 1994), Idejni svet J. L. Borgesa (The World of Ideas in Borges’ Fiction, 1994), Moderne metode literarne vede in njihove filozofsko teoretske osnove (Contemporary Literary Theories and their Philosophical and Theoretical Backgrounds, 1999), Strah pred naivnostjo: Poetika postmodernistične proze (The Anxiety of Naivety; Poetics of Postmodernist Fiction, 2000), Primerjalna književnost na prelomu tisočletja (Comparative Literature at the Turn of the Millenium, 2008). In addition, he has translated into Slovenian, among others, G. Lukács’s Teorija romana (The Theory of the Novel), H. R. Jauss’s Estetsko izkustvo in literarna hermenevtika (Aesthetic Experience and Literary Hermeneutics), E. R. Curtius’s Evropska literatura in latinski srednji vek (European Literature and the Latin Middle Ages), and H. G. Gadamer’s Resnica in metoda (Truth and Method).